Howard Thurman was a philosopher and theologian who helped shape the twentieth century by capturing the imaginations of educational, political, ecclesial, and judicial leaders. In his role as a teacher and mentor, Thurman’s vision of social justice, rooted in the requirements of reconciliation and love, was one of the pillars of the Civil Rights movement. As an advisor to the likes of James Farmer, Vernon Jordan, and Martin Luther King Jr., he worked in search of common ground by deepening relationships, and promoting non-violent political action in the face of stark social, racial, and class divisions. Today, Thurman’s work is as relevant as ever. But awareness of his legacy wains at a time when his compelling thoughts and commanding voice is needed. Given the philosophical and contemplative dimension of his writing, we could surmise that shrinking attention spans and impatient social habits are to blame for this unfortunate trend. Or we might wonder if Thurman’s status as a minority contributes to inexplicable omissions of his writing in seminaries, religious studies programs, and history departments. While both explanations have merit, Walter Earl Fluker and Catherine Tumber suggest three equally persuasive possibilities: “Many students of African-American history view him as a vague mystic.” Others saw him as a conciliatory “integrationist who did not grasp the realities of institutional power and cultural estrangement.” Still others were attracted to “his intercultural liturgical experimentation, [and] his pacifism,” but “often without reckoning with the historical foundations and tragic dimension of his thought, or its [very theological] relationship to politics.” Whatever the case may be, the result is a lack of exposure to a critical figure in American thought and civil transformation. 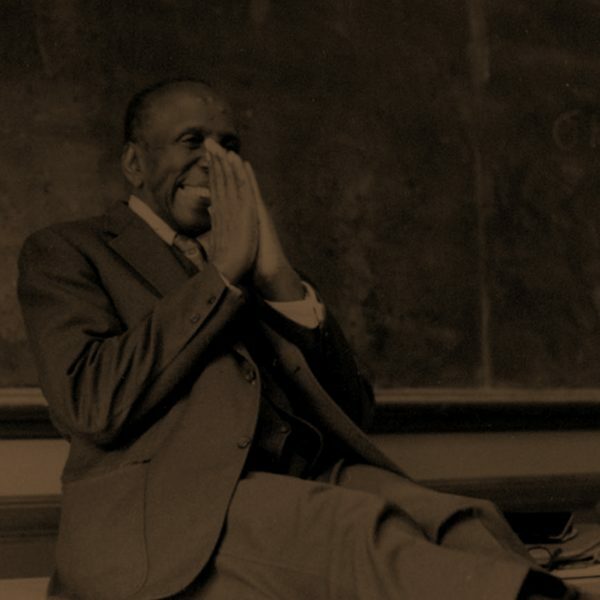 At Upper House we are delighted to host a dynamic conference that reanimates the remarkable contribution of Howard Thurman, through lectures, breakout discussions, and times of contemplative reflection. As Thurman wrote, “the human spirit cannot abide the enforced loneliness of isolation.” With that in mind, we look forward to gathering from April 26-27, 2018, exploring the depth and breadth of a legacy that held a light toward community, rooted in the universal pursuit of justice. This event is hosted in partnership with the Bradshaw-Knight Foundation, Geneva Campus Church, and Selfless Ambition.